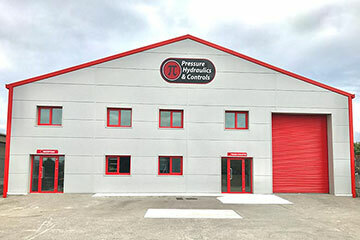 Pressure Hydraulics & Controls can now service its customers in Ireland better than ever before. Having invested in state of the art technology to test pumps, valves and cylinders we can now repair and certify most hydraulic equipment in our Cork & Carlow workshops. 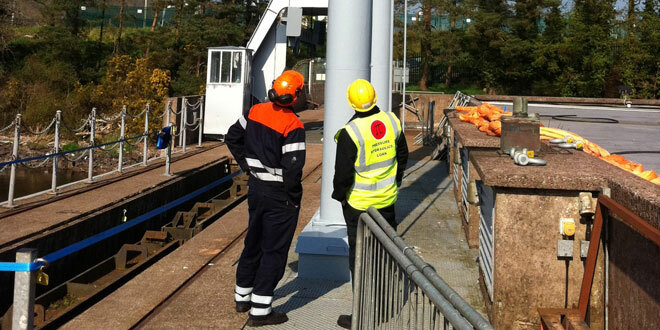 In addition, we have a team of specially trained service engineers available for onsite service & maintenance. 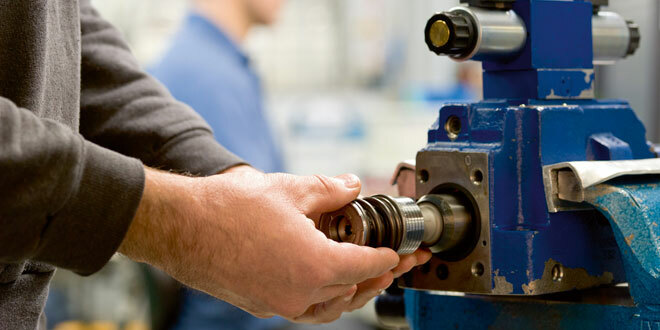 Bosch Rexroth is one of the global leaders in hydraulic pump design & manufacturing. 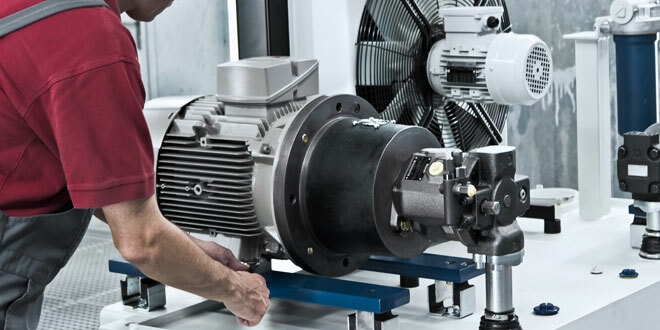 Pressure Hydraulics & Controls, using the latest technology equipment, can repair most Rexroth hydraulic pumps & motors throughout the range. We carry a variety of spare parts which enables us to carry out the most common repairs at the shortest time possible. Along with pump and motor repairs we can also overhaul and test cylinders and hydraulic valves from CETOP3 to CETOP10 in size. Onsite fault finding and breakdown repairs. 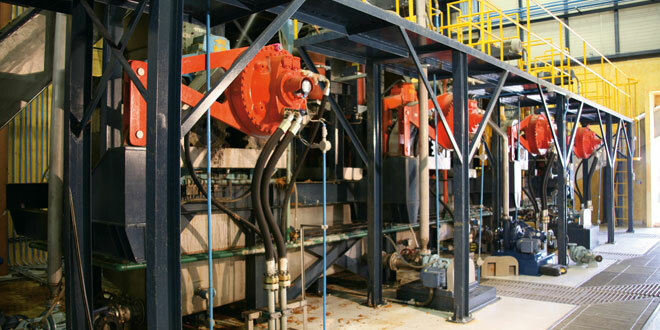 Installation and commissioning of hydraulic systems. Oil flushing, replacement and condition monitoring. Along with the installation of power packs, cylinders and motors Pressure Hydraulics & Controls offer a full pipework manufacture and installation service. We can offer tube and fittings in carbon steel zinc passivated and in stainless steel in sizes from Ø6mm to Ø60mm. 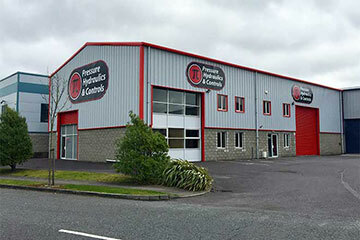 Pressure Hydraulics & Controls offer a pressure equipment calibration service for all makes of pressure gauges. Our technicians are trained and calibrate all sizes and pressure ranges of manometers. A detailed calibration certificate is issued outlining the calibration results and the certificates are traceable to national and international standards. 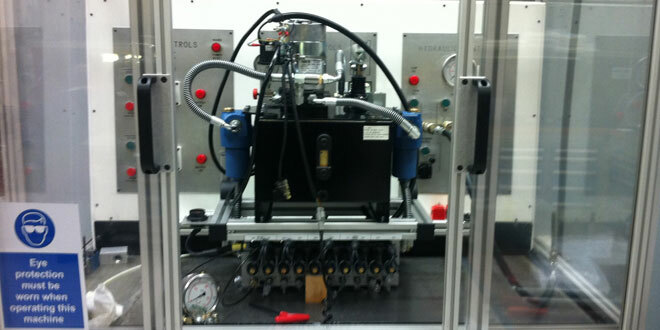 Hydraulic fluid analysis is essential to keep your system operating efficiently and effectively. Considering 80% of all hydraulic system failures are caused by fluid condition, an effective fluid analysis program will help identify contamination and other problems not visible to the naked eye. Pressure Hydraulics & Controls offer an oil analysis service and reports, to ISO4406:1999, which will reduce failures, identify potential problems, increase productivity and reduce oil replacement and disposal costs. 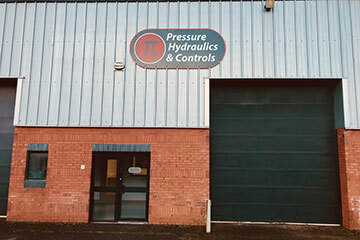 Pressure Hydraulics & Controls stock a large range of pumps, motors, valves, filters and test equipment. We have built our success by selling high quality hydraulic products at great prices while offering customer service that is regarded as the best in the industry. PHC, along with our sales partners, are confident that we can offer a full range of products at short lead times and at competitive costs. 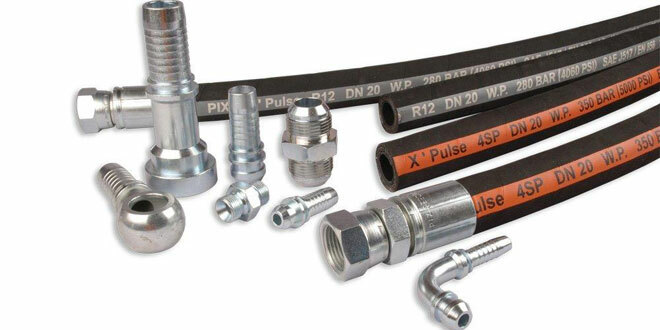 At Pressure Hydraulics & Controls we carry a large stock of hydraulic hose and fittings in both our Cork and Carlow stores. Hydraulic hose stocked include 2 wire, 4 wire, thermoplastic and stainless steel braided PTFE hose among others. 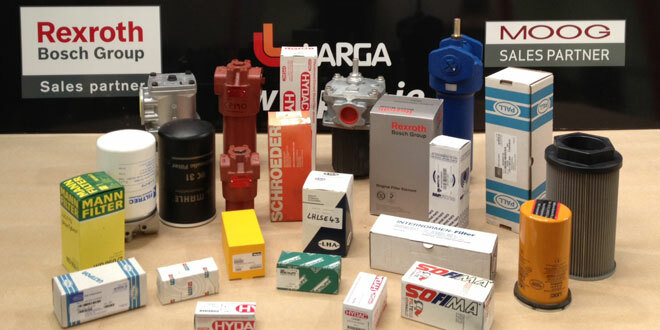 Being a sales partner for Larga, PHC stock a large range and quantity of DIN compression fittings, adaptors, hose fittings and quick release couplings in both carbon steel and stainless steel. Pressure Hydraulics & Controls supply complete hose assemblies and hose kits to industry and can test and flush the assemblies if required.